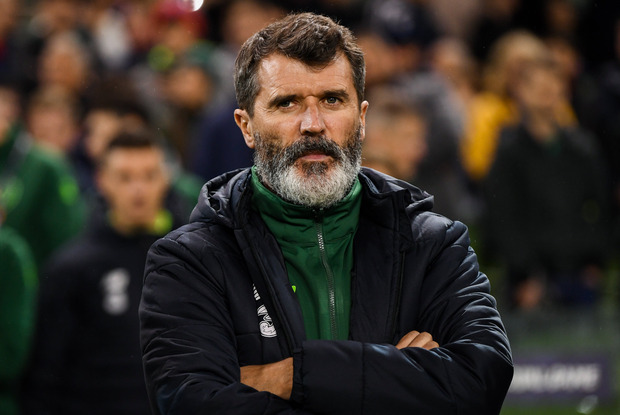 Graeme Souness believes Roy Keane would have been an ideal candidate to step in as Manchester United interim manager following the sacking of Jose Mourinho last December, as he insisted the Irishman can return to a frontline managerial role. Speaking exclusively to Independent.ie, former Liverpool captain and manager Souness suggested Keane ‘would have ticked a lot of boxes’ as United looked to steady their rocking ship following Mourinho’s exit, as he believes a figure with a track record of success at the club needed to be appointed. Former United striker Ole Gunnar Solskjaer stepped into the role on a temporary basis before being appointed as the club’s permanent manager last month, with Virgin Media Sport analyst Souness suggesting Keane would also have been a suitable candidate. “I’m not surprised they have given the job to Solskjaer because it was clear that they needed to bring in a manager who appreciates the history of the club and a guy the fans identify with. “They have tried ‘The Chosen One’ in David Moyes. Maybe they didn’t give him enough time to prove he could do the job, but they moved on quickly from that choice. “Then they hired two of the biggest names in management in Louis van Gaal and Mourinho and they have not worked, so they had to get back to what was successful and that meant returning to the formula that brought them all those trophies under Alex Ferguson. Souness admits he was enchanted by Keane as he spent time with him in a TV studio as they were pundits for the Liverpool v Manchester United game at Old Trafford in December, as he suggested the Irishman was great company. “United were talking about stirring the place up and getting it going again after they sacked Mourinho and Roy would certainly have done that,” he added. “I’m sure Roy has learned so much during his management career and then working under Martin O’Neill, so he will be ready to go again if he gets another crack at management. “I don’t know Roy at all, but I worked on a game with him for TV a few months back and thoroughly enjoyed being in his company. He was fascinating to be around. “He and I come from the same school of thought. We both like to win and there is nothing wrong with that. Virgin Media Sport host the UEFA Champions League matches on Wednesdays and the UEFA Europa League on Thursdays.